When it comes to HVAC systems there are many kinds, the two major kinds being the residential and the commercial HVAC systems. The residential HVAC systems are mainly used in houses and in small buildings while the commercial HVAC systems are installed in large office buildings, retail stores, warehouses, and other bigger kind of buildings. It is true that both residential and commercial HVAC units perform the same function that is heating, ventilating, and cooling yet there are a few differences between them. Basically the differences between these two systems includes the amount of power that is needed to run them, the size, the location, complexity of the units, drainage systems and the way in which they are manufactured. First of all the difference between a commercial and a residential unit lies in the size. 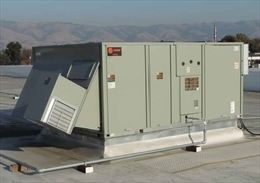 A commercial HVAC unit is much bigger in size than the residential units. This is because commercial units have to condition bigger spaces and so a bigger sized unit is required. At the same time as commercial units are bigger in size they are also more powerful than the ones installed in residences. 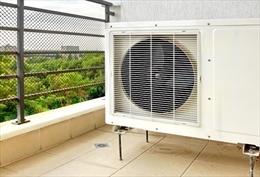 As far as the location of both the units is concerned it is seen that residential HVAC units are generally installed in the backyard or in one side of the house while the commercial HVAC units are mostly installed on the rooftop. At the same time, the commercial HVAC units are more complex in terms of dampers and thermostats. As commercial HVAC systems have to consider different types of rooms for cooling and heating and also the number of people that occupies the room, it is obvious that commercial HVAC units are more complex than the residential units. Moreover the commercial HVAC units also have to consider the contains of the room when it comes to cooling offered by these units and that is one of the reason as to why commercial units are more complex than the residential units. Just like all other aspects there is also a difference between the drainage of both the units. For example, as residential HVAC units cools smaller areas the system drains into a single pan outside while in case of commercial HVAC units, the drainage system is also larger and multiple pans and pipes are needed for the draining of commercial HVAC units. The commercial units are packaged and the residential units on the other hand are split. The residential units have one indoor evaporator and the compressor is placed in the outdoor unit. In contrast, the commercial HVAC units generally combine both heating and cooling into a single unit that is placed on the rooftop. It is true that the commercial HVAC units are quite easy to access but when it comes to repair and maintenance it can get quite difficult. Last but not the least, commercial HVAC units are more flexible in nature than the residential HVAC units because the commercial HVAC units are modular in structure and if you want to increase the heating or cooling capacity you can do it with ease while in case of residential units you will have to completely install a new unit if you want to increase the heating or the cooling capacity.